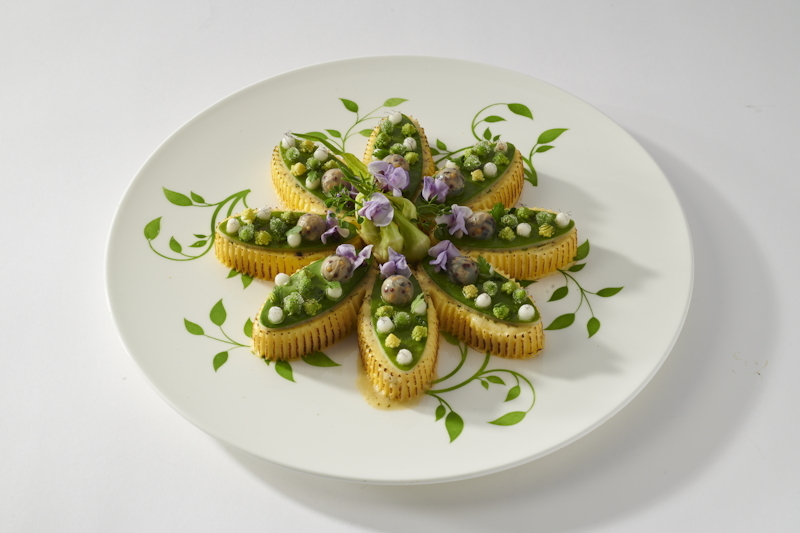 Chef Kenneth Toft-Hansen won over the judges, 8 years after his coach Rasmus Kofoed, thanks to his mastery of cooking, elegant dressing and creativity. The winner was presented with the legendary trophy by Jérôme Bocuse, president of the Bocuse d’Or, alongside Matthew Peters president of the jury, and Christophe Bacquié, honorary president, after an emotional awards ceremony and a tribute to Paul Bocuse who passed away one year ago. 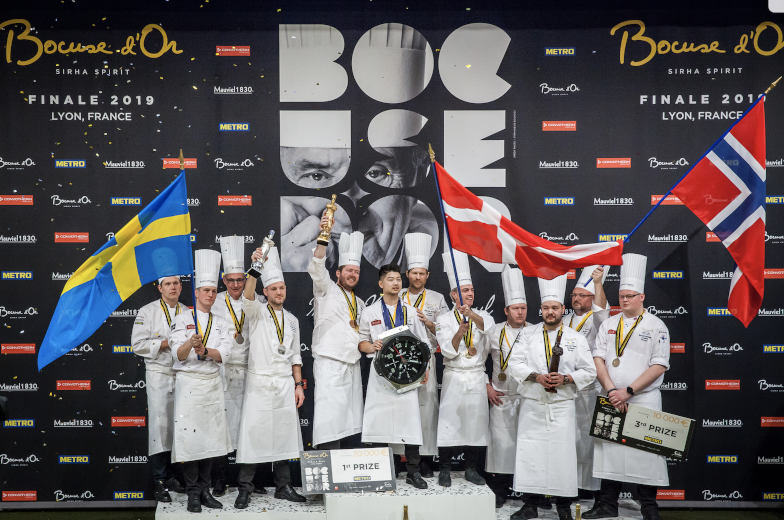 Once again, the Bocuse d’Or brought together 24 participants from all continents for two days of competition. 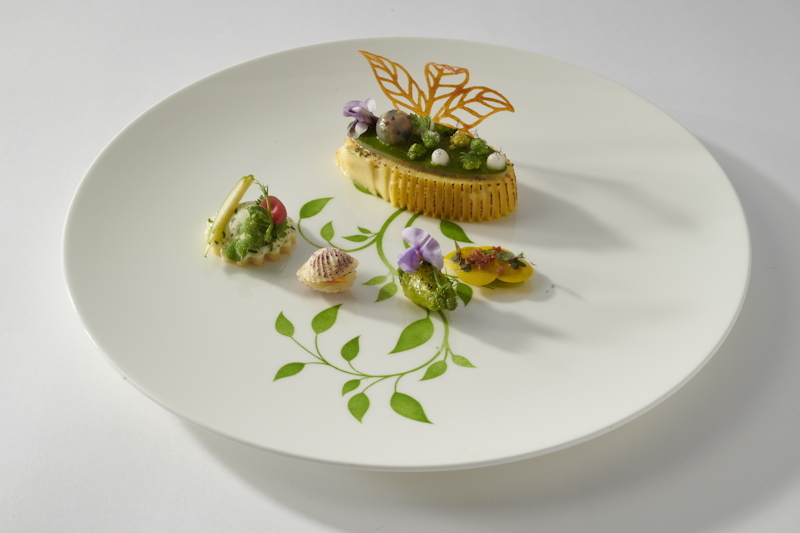 Initiated in 1987 by Paul Bocuse, over the course of more than 30 years the contest has become a springboard for chefs, promoting culinary savoir-faire and gastronomic heritages from around our planet. 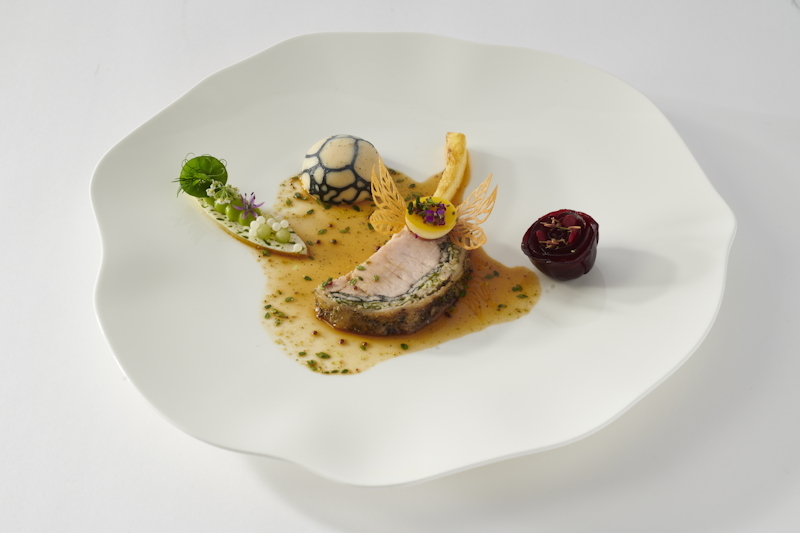 For this edition, the participants had to create 2 recipes : roast a rack of veal with 5 prime ribs, as a tribute to Bocuse, and a revisit of the Chartreuse of vegetables and shellfish, as a tribute to Joël Robuchon. 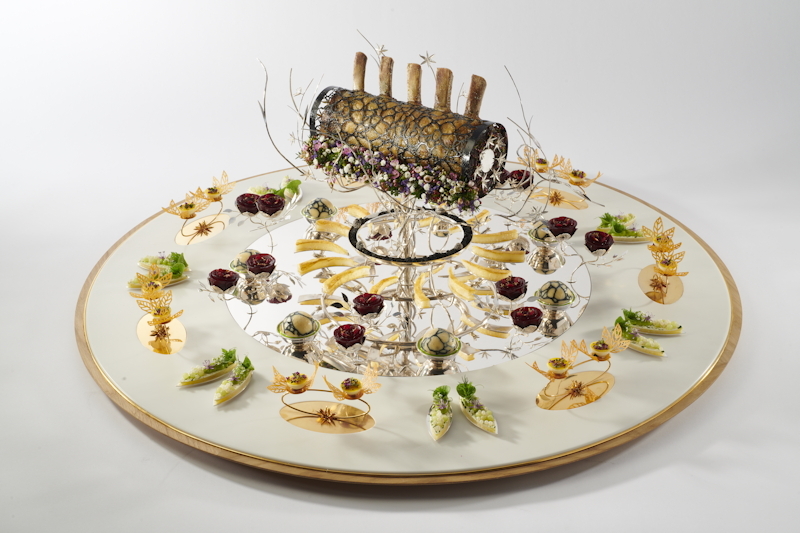 In January 1987, Paul Bocuse created the Bocuse d’Or, a revolutionary gastronomy contest. Replicating the codes of major sporting events, he imagined a show placing the emphasis on cooking and on the chefs. The idea: bring together 24 young chefs from all over the world, among the most promising talents of their generation, and have them prepare dishes within 5 hours 35 minutes, live in front of an audience. To tell them apart, a jury composed of illustrious chefs.